At Aireworth Vets we offer routine farm visits & herd health planning that are tailored to your individual herd needs. Our vets will discuss problems and offer solutions. 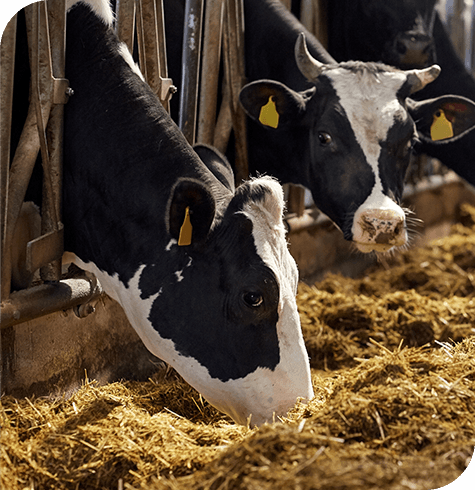 We provide regular routine farm visits to local cattle farms with a focus on production issues, mastitis and lameness. We use a herd specific investigation approach which is considered the most effective and cost efficient. We involve clients in formulating plans specific to their own ‘on farm’ circumstances. We know all farms are different in outlook and aspiration. Our vets are available to discuss problems, offer solutions and conduct herd health investigations. Following an assessment of the livestock and health records, any herd issues will be discussed and prioritised for maintaining healthy and productive animals. Herd testing and vaccinations for diseases such as Johnes, Leptospirosis, BVD, IBR, TB, Calf Pneumonia, Salmonella, Husk and Ringworm. Parasite investigation and control for fluke, lungworm, intestinal worms, lice, flies and ticks. Management and treatment of foot problems. We recommend all foot trimming is carried out by someone qualified with the National Association of Cattle Foot Trimmers and/or NPTC. Investigation and management of mastitis. Advice on young stock management and husbandry. Routine surgical procedures such as disbudding, dehorning, castration, removal of supernumerary teats. Investigation of casualties and dead stock. Please ring the practice on 01535 602988 if you would like more information or to arrange Routine Visits and Herd Health Plans.